While it is always best to keep your firearms stored in a locked gun cabinet, there are some situations where you need added security. This is where gun locks come into play. The basic idea behind a gun lock is that if someone were to get a hold of the gun, they would be unable to fire it. While it is never a good idea to leave your firearms where children or teens can access them unsupervised, these gun locks can help prevent unnecessary accidents. There are two different kinds of gun locks which can fit many types of guns: trigger locks and cable locks. Trigger locks are a padlock-like lock that goes around the actual gun trigger and prevents an individual from pulling the trigger. The second is a cable lock, which blocks the gun barrel to prevent the gun from firing ammunition. While both types of gun locks have their individual drawbacks, they can be a convenient way to secure your firearm in situations where they are outside of a locked safety box. 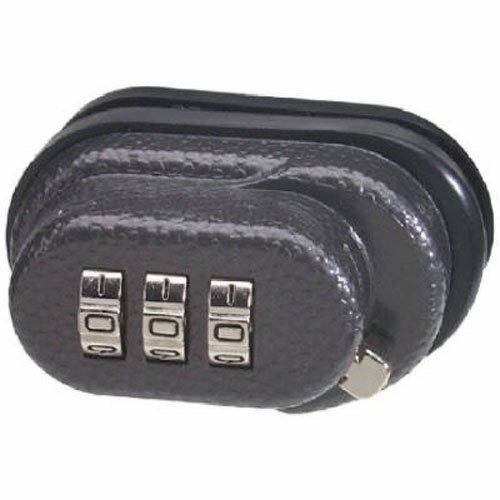 The third type of gun lock is an ammo lock, which secures the outside of ammunition boxes to secure the ammunition inside, making it harder for someone to load and fire a gun. ZORE X is a chamber lock designed primarily for prevention of child and other unauthorized access to firearms. 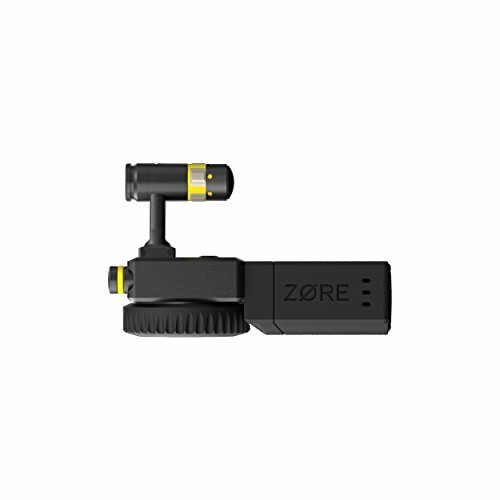 The Zore X offers the fastest way to go from locked to loaded: by charging the gun, the lock is ejected and a round is immediately charged. Patented RAPIDial - revolutionary dial quickly unlocks under any circumstances - even in zero visibility - by counting clicks. Start from any point, in any direction. 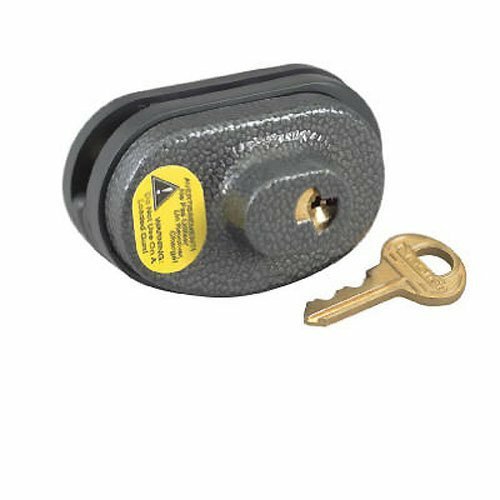 Trigger locks come in both key and combination lock styles and are used on any sized gun to prevent misfires. These locks come in two halves that encase the trigger mechanism of the firearm to prevent accidents. 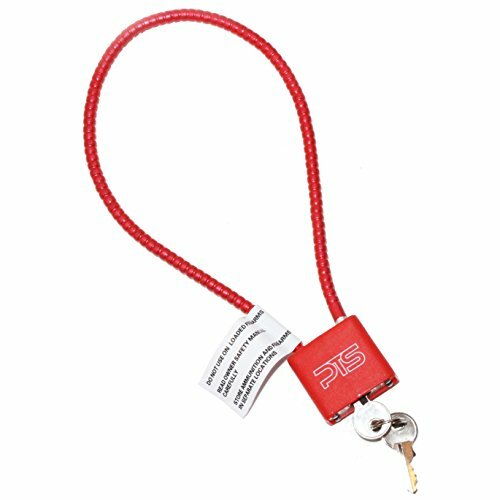 Most trigger locks come with either a set of keys or a tumbler design that can be set to the combination of your choice. These are a good option for larger firearms and for situations like demo booths and shooting ranges where the firearms will be supervised for most of the time but may need extra security throughout the day. Cable locks, due to their versatility, are ideal for both pistols and shotguns. By threading a cable through the barrel, these locks prevent ammunition from reaching the barrel and can prevent a gun from firing. These locks are best for long-term storage and added security, as they can ensure that your firearms are safely locked away. 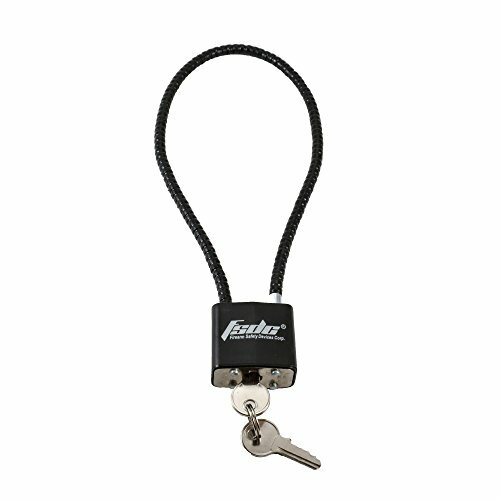 A gun lock will make sure your gun cannot be fired without the key. The ammunition lock is usually a reinforced padlock that can be attached to the outside of a metal ammunition storage box to prevent unauthorized use. These are inexpensive and can help give you peace of mind when it comes to the safe storage of your firearms. Make sure to do your research on each gun lock option, as some are designed to fit one type of gun. When storing your firearms, make sure they are unloaded and have the safety on. Do not store your ammunition in the same locked areas your firearms, and make sure to keep the keys for these areas in separate locations. By practicing good gun safety, you can help prevent accidental deaths caused by gun misfires and have peace of mind.